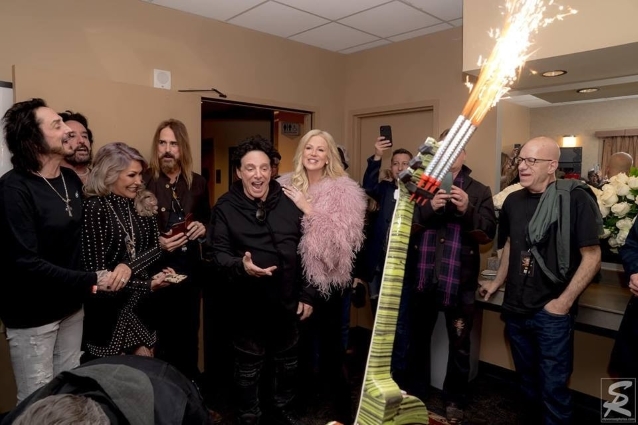 JOURNEY guitarist Neal Schon's wife, Michaele Schon (former star of "The Real Housewives Of D.C." ), organized a 65th-birthday celebration for her husband this past weekend. 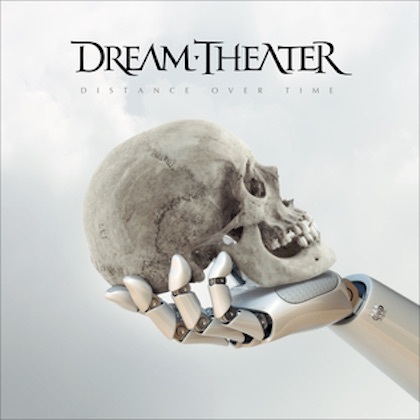 The celebration began on Saturday, February 23 with a surprise party following the sold-out "Journey Through Time" show in Oakland, California. 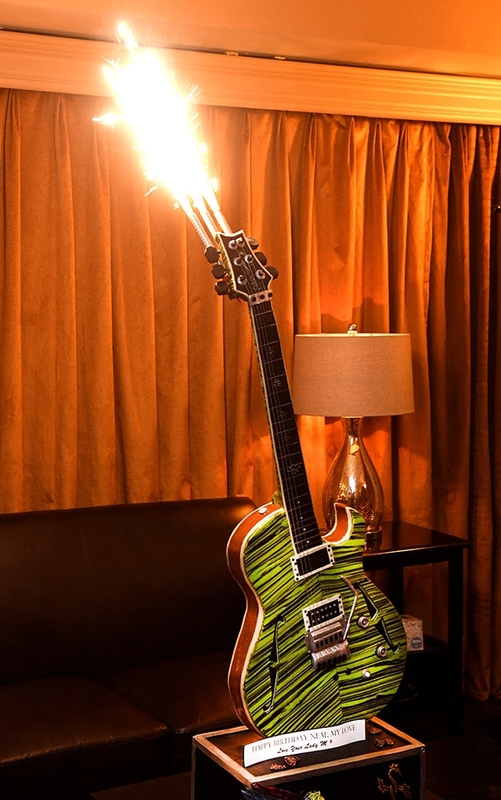 It included a stunning, custom Schon PRS Guitar-shaped cake and the presence of Schon's friends from across the country. The legendary musician was also gifted, by his wife, a rare Gibson Vintage 1954 Les Paul Gold Top that she specially located and purchased in Europe. Schon took to Twitter to share his overwhelming excitement and gratitude to his "Lady M": "Ok I'm freaking the f* out !!! My wife Michaele -LadyM bought me this Gibson Vintage 1954 Les Paul Gold top for my BD Its from Europe !!!" Michaele also organized a special video "birthday card" featuring many of Neal's closest friends and fellow guitar greats, including Joe Elliott, Zakk Wylde, Sammy Hagar, Michaele, Gregg Rolie, Deen Castronovo, Joe Satriani, Joe Bonamassa, Steve Vai, Marti Frederiksen, Adam Day, Richie Surrency, Chris Collins, Robert and MaryAnne McKnight, Dean O'Neal, Iron Mike and the ISLAND BAND, Erik Kabik, Steve Rose, Steve Toomey, Raz, Gary Bauer, Scott Boorey, Brett "Bucky" Enzensperger, Danny James, Matt Wilenchik and Randy Garber. Schon founded JOURNEY in 1972 and has been the only consistent member, having participated in every album and tour to date. 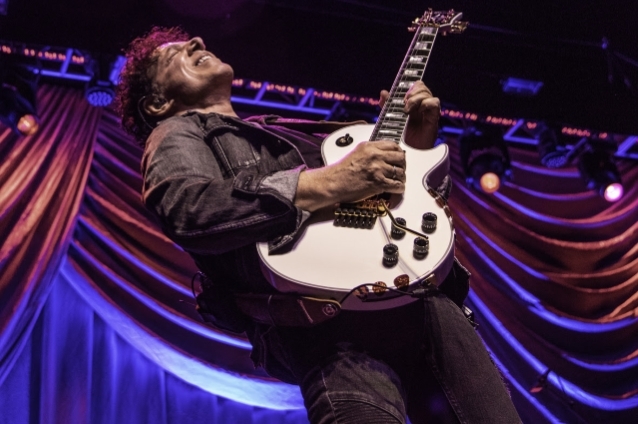 He is a Grammy-nominated guitarist, songwriter and vocalist who was also a member of SANTANA and has performed with a variety of other acts, including BAD ENGLISH, JAN HAMMER and HSAS. 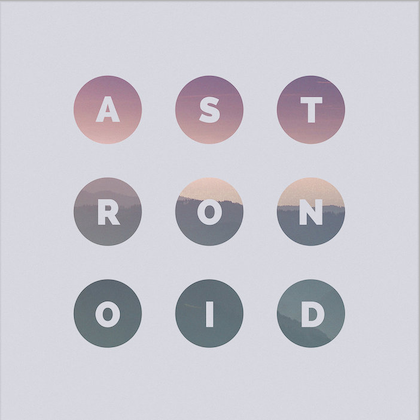 He has released 10 solo albums, including his latest, "Vortex". 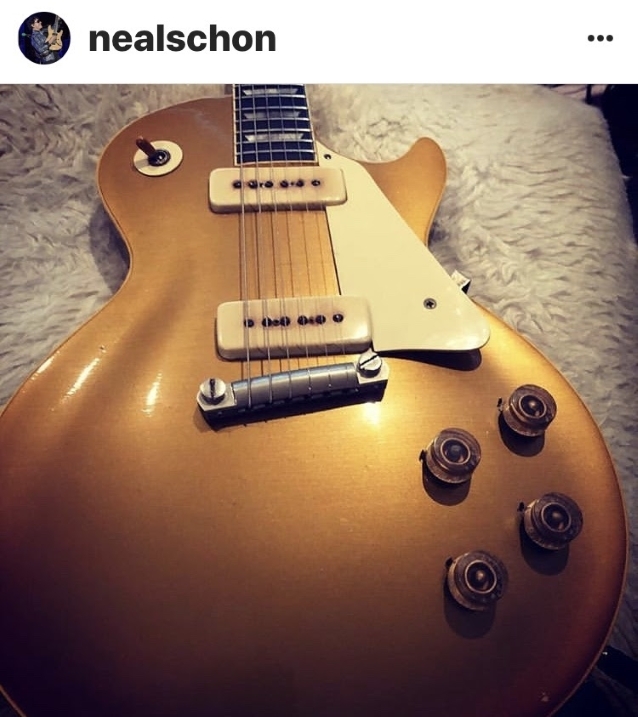 His guitar style has been described as soulful and melodic, admired by such fellow legends as Eric Clapton and Prince, who reportedly asked for Schon's blessing to release "Purple Rain", which echoed a similar sound to JOURNEY's "Faithfully".